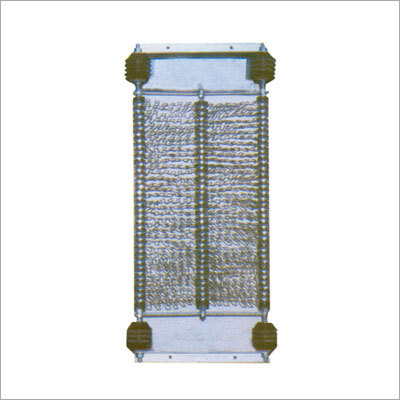 Wire Wound Grid Resistance For Ngr are used in earthing application. It is precisely manufactured, supplied and exported to alternate current distribution and limit the restricted earth current to a safe value that flow from transformer. These Resistors are economical for low current which are available in ratings of 1 Amp and above. The resistors are designed for allowing maximum heat dissipation. Such resistor elements material are made from any stainless steel or any other resistance material. Our customers have a privilege of customizing their product according to their requirement of optional features such as adding safety screen for enclosures, termination kit, cable gland, potential transformer and many more. Wire Wound Grid Resistance For Ngr can be implanted indoor as well as outdoor.